New to Free Life Church? Are you looking to connect and learn more about Free Life? To advance the Kingdom of God where we live and everywhere we go. As believers, we are ambassadors for the Kingdom of Heaven, to bring His world and accomplish His will here on the earth. Building a church empowered to engage our city. We believe that people need to encounter the God who created them. The first and greatest encounter is our salvation, but it doesn’t end there. We endeavor to build our lives pursuing God’s presence and trusting His power to manifest in our day-to-day lives. We believe people are part of Gods family, and this requires strong, authentic relationships with other believers and to be intentional in building those relationships. We also desire to see our church engaging our community and sharing the love of Jesus with everyone. 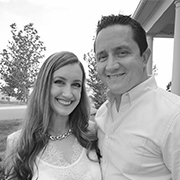 Clayton, Senior Pastor of FLC, and his wife Jen have devoted their lives to serving Jesus, advancing His Kingdom, and serving people. Jen led the Youth Group at FLC when she was still a teen, then became a part of the leadership team in 2008. Clayton began full-time ministry in 2004 at New Covenant Church Bryanston in Johannesburg, South Africa. He arrived in Leesburg, VA in 2007 and has served on the eldership team since 2008. Clayton and Jen married in 2011 and now have two children. Guy and Tracey are all about the freedom that is found in Jesus Christ. They have held leadership positions in a number of denominational and non-denominational churches over the past eighteen years. They came to Free Life in 2007 where they have served in numerous capacities. They have four adult children and live in Hamilton, Virginia. Duane and Marie came to FLC during its earliest days in 2003. They have served the church in many capacities and have been on the eldership team since 2004. They have four children and live in Reston, Virginia. Kevin and Katie are passionate about community and God’s design for the church to be family. They came to Free Life in 2008 where they met, later married, and served in numerous capacities. 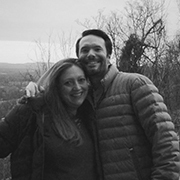 They have three children and live in Leesburg, VA.
Josh and Rachel have a desire to see lives restored, and for people to experience God in a new and powerful way. They joined FLC in 2013 and have served in several areas. They live in Ashburn VA and have four daughters. Tommy and Carly have been with FLC since 2006. They have been involved in the leadership of multiple ministries at different times, and share a desire to see God’s people live out the gifts and callings that He has put in them. They have 3 children and live in Ashburn.